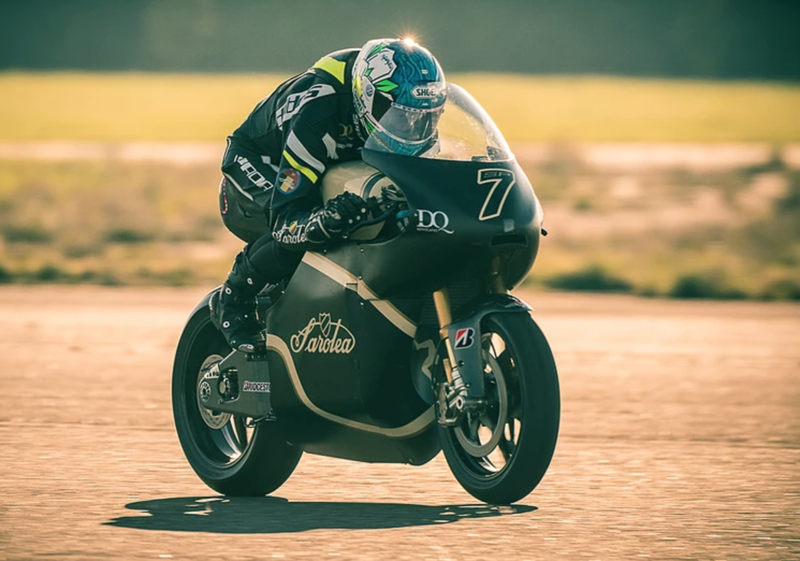 Saroléa will return to the Isle of Man this year to once again participate in the TT Zero race with Yorkshire’s Dean Harrison. The machine’s quickest race lap to date has been 106.5mph, but following a big step forward with the machine on the dyno last year the outfit had been hoping for much more. However, the 2016 campaign proved to be a disaster for the Belgian squad with riders Dean Harrison and Lee Johnston would experience a number of problems throughout practice before the team pulled the bikes from the start-line minutes before the race got underway. It’s claimed the carbon-fibre SP7 machine has ‘evolved considerably’ since last year, with the machine subjected to a rigorous testing programme both on and off track. “This is my fifth year at the TT and the second time I’ll be riding the SP7,” Harrison said.